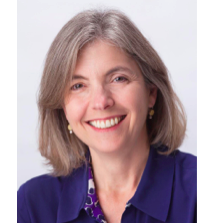 Laura is a 25-year leader in the field of education, with a range of experience in policy, government, advocacy, research, program design, nonprofit management and philanthropy. She currently directs the Center for Local Income MoBility (CLIMB) at the San Diego Workforce Partnership where she also directs communications. The Center promotes and executes investments in children and youth to maximize their likelihood of thriving in the workforce as adults. Laura is also the co-host of the Good Schools for All podcast at Voice of San Diego, alongside Scott Lewis, the VOSD editor in chief. Prior roles include founding director of the Education Synergy Alliance, a nonprofit organization that aimed to increase the equity and excellence of public education in San Diego County; executive director of the New School Foundation in Seattle; director of education for the city of Seattle; advocacy lead for the Bill and Melinda Gates Foundation; and education policy advisor to Washington’s governor. Laura has a BA in Economics from Yale University and a Masters in Public Administration from the University of Washington.